Child prodigies. Gifted and Talented Programs. Perfect 2400s on the SAT. Sometimes it feels like the world is conspiring to make the rest of us feel inadequate. Those children tapped as possessing special abilities will go on to achieve great things, while the rest of us have little chance of realizing our dreams. Right? 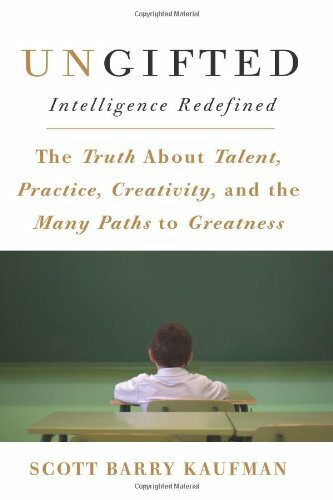 In Ungifted, cognitive psychologist Scott Barry Kaufman—who was relegated to special education as a child—sets out to show that the way we interpret traditional metrics of intelligence is misguided. Kaufman explores the latest research in genetics and neuroscience, as well as evolutionary, developmental, social, positive, and cognitive psychology, to challenge the conventional wisdom about the childhood predictors of adult success. He reveals that there are many paths to greatness, and argues for a more holistic approach to achievement that takes into account each young person's personal goals, individual psychology, and developmental trajectory. In so doing, he increases our appreciation for the intelligence and diverse strengths of prodigies, savants, and late bloomers, as well as those with dyslexia, autism, schizophrenia, and ADHD. Combining original research, anecdotes, and a singular compassion, Ungifted proves that anyone—even those without readily observable gifts at any single moment in time—can become great.